1. How long will the project take? 2. What level of service will you provide? 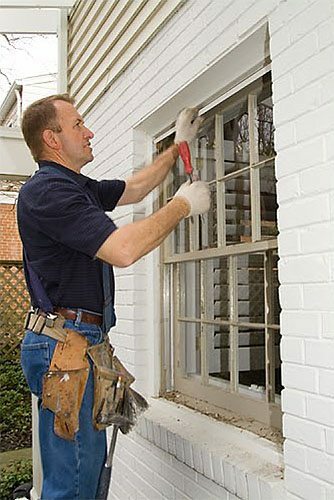 The installer should not charge to remove old windows and other debris, and the company should protect your home and landscaping. 3. Is your work certified or factory-authorized? Installers may be certified by InstallationMasters, which is good. But factory-authorized installers are better because they are trained to install a specific product. Note that contractors who are working in a home or child-occupied building that was built before 1978 and who will disturb painted surfaces must be an Environmental Protection Agency-certified lead renovator. If this affects your project, see if installation will cost more. 4. What if something goes wrong? Make sure you know whom to call. If the company that sold you the windows subcontracted the installation to another company, do you call the salesperson or the installer? 5. What warranties will I receive? Most manufacturers guarantee their products for 10 to 20 years, assuming “proper installation.” You may get a better warranty with factory-authorized installation. Manufacturers generally cover labor and installation for a year, and any problems will likely show up during that time.